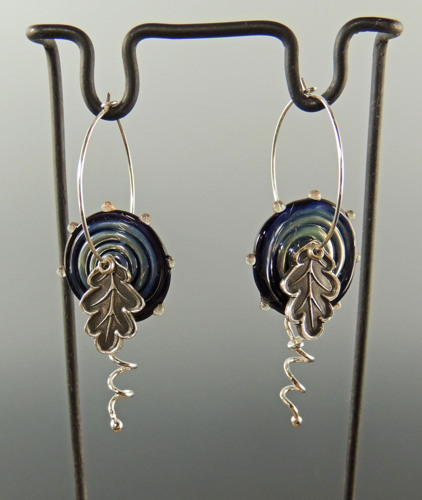 My very favorite Fine Silver Oak Leaf, with a Lampwork Glass bead in disc form, Sterling Hoops and Fine Silver coils. 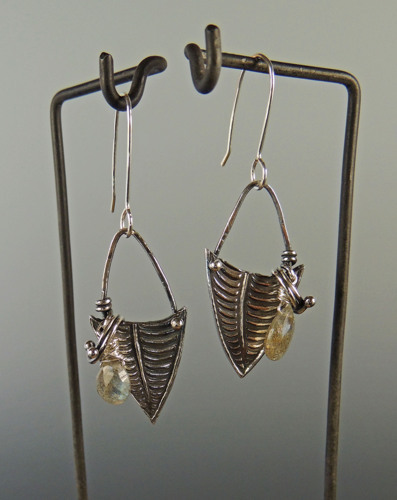 Fine Silver ribbed leaves with round fine silver coils, Faceted pear shaped Labradorite, and Argentium Silver earwires. 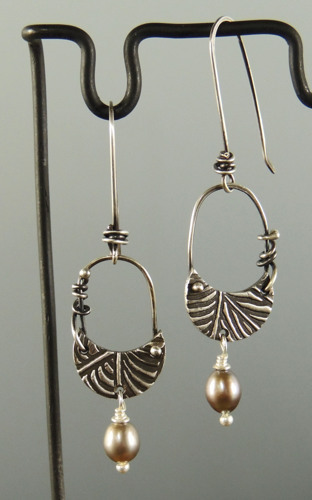 Fine Silver earrings with a gray freshwater pearl and Argentium wrapped earwires, all softly oxidized. 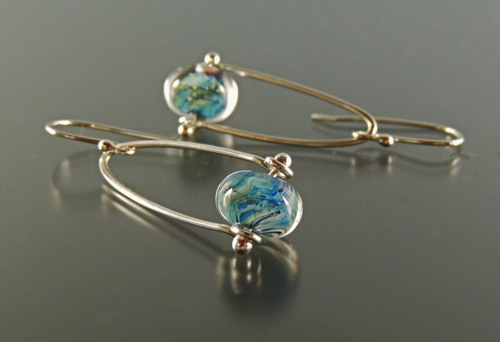 Lampwork Glass beads encased in clear glass to magnify the beautiful blue silver glass beneath. 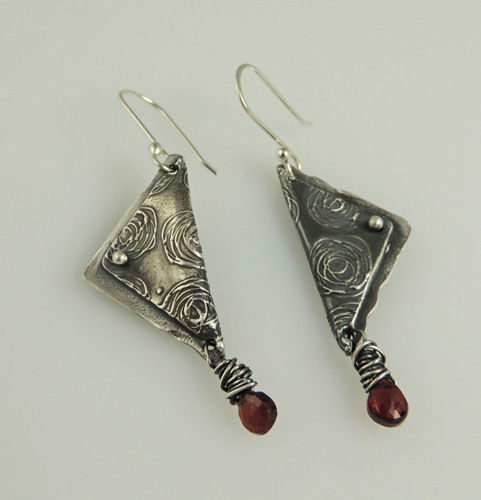 Suspended on stirrups made from Fine Silver and Argentium silver with Argentium earwires. 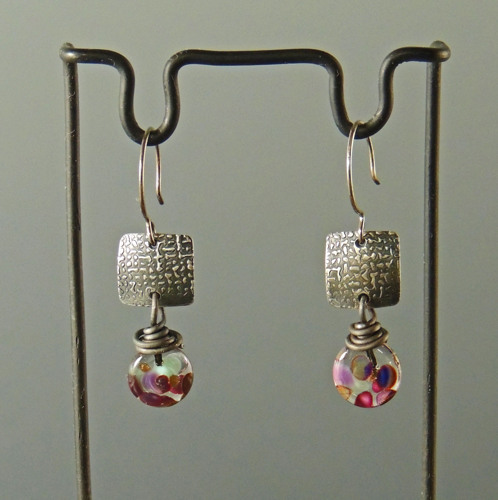 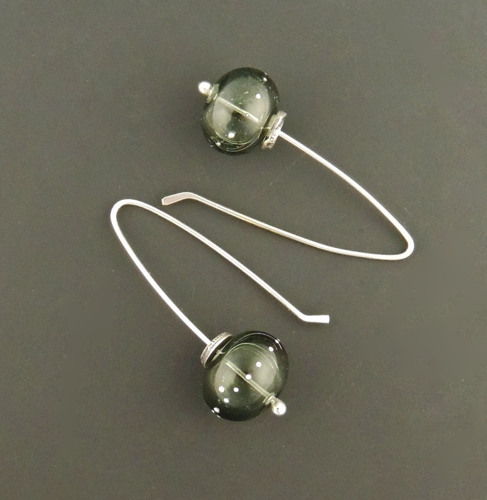 Lampwork Hollow Glass beads in steel green with Fine Silver dots, Fine Silver spacer, and Argentium Silver earwires.